Launched in 1989 by James Charlwood, Cathedral Stone provides specialist services to the heritage industry in the areas of heritage restoration and conservation. 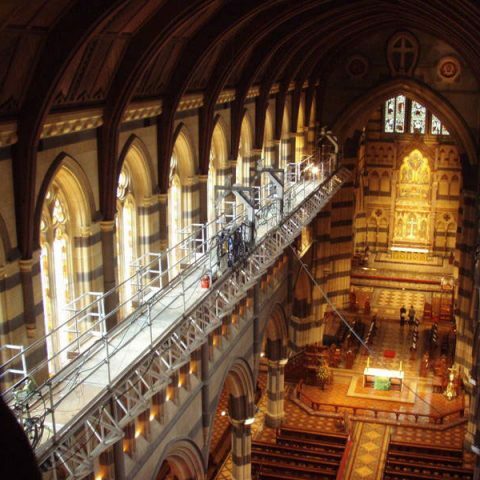 Employing Victoria’s largest team of skilled stonemasons and Heritage Trade Assistants, Cathedral Stone’s approach to the preservation of built places balances modern conservation techniques with traditional restoration skills. 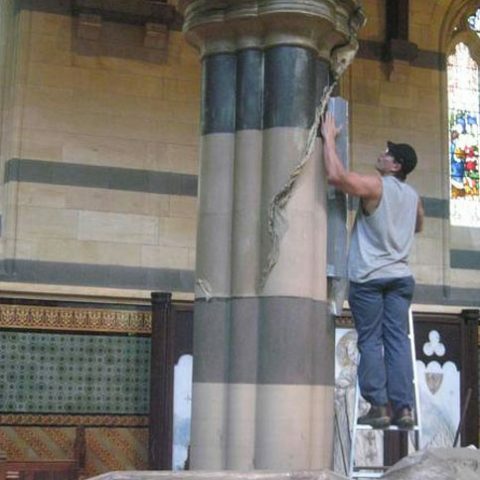 Cathedral Stone is run and operated by one of Melbourne’s leading stonemasons, James Charlwood. We have a consistent team of highly skilled stonemasons and heritage trade assistants. We are centrally based in Melbourne with our stonemasonry yard in Kensington. For all enquiries, please phone or email us.